We'll take care of your needs. And reward you for staying with us. * Instant rewards and no blackout dates. * Destinations wherever you go. * Everything you need for an enjoyable stay. * Always consistent service and value. 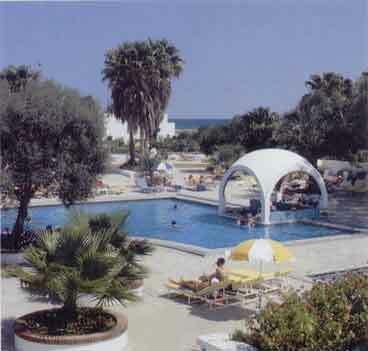 The Sheraton Hammamet Hotel has a surprisingly intimate atmosphere and an unusual design. 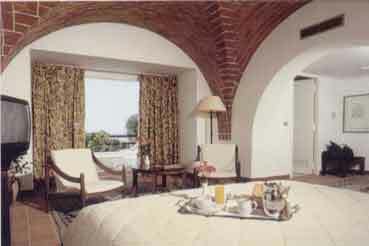 Scattered amongst walkways which meander through flower gardens are the cool, comfortable rooms which make up the hotel. Nowhere is taller than two stories, and the entire development has a delightful village feel to it. Set on the sands of a wide, curving bay, the Sheraton Hammamet Resort is a true haven of relaxation. Guests can choose to spend their entire visit simply enjoying the shade of olive trees around the swimming pool, or they could waterski or sail, play tennis or golf. 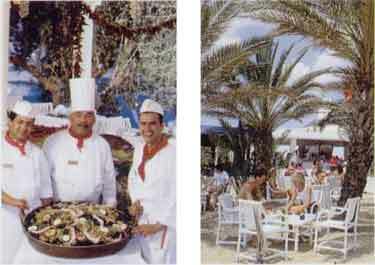 There's a terrace bar and restaurant, as well as a beach barbecue for really fresh fish. Plenty of live entertainment creates the perfect end to the perfect day. Colour, warmth and charm Tunisian-style. Bright sunlight, rich vibrant colours, hospitable and friendly people - all ingredients that make Tunisia such a popular destination. And they're equally true of the Sheraton Hammamet Resort, where well-trained staff go out of their way to be of service. 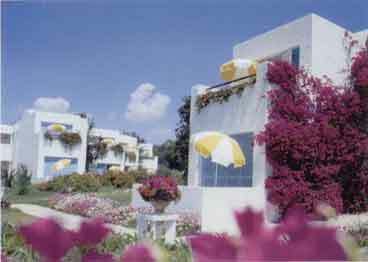 201 rooms and 2 junior suites, all designed to reflect Tunisian architecture and each, whether ground floor or first floor, with its own terrace, are located in small groups around the beachfront location, linked by pathway thought well-tended gardens. All rooms look out over either the sea or the gardens and have en-suite bathrooms, satellite TV and international telephone access. Non-smoking and interconnecting rooms are available. Al fresco dining, from spring to autumn, brings a relaxed feel to the Main restaurant, while the beach barbecue offers Tunisian specialties, pizzas and a variety of fresh fish. 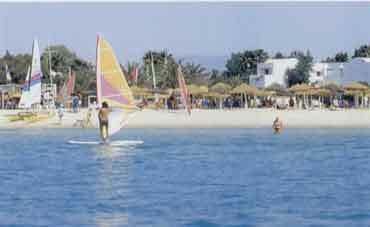 From the beach there are many watersports to choose from, and two superb golf courses nearby. A tennis pro is on hard to help you with you game, and there's also a supervised gym. The focus of the hotel is the pool with its own pool bar, and a paddling pool for the children. Two meeting rooms can accommodate up to 100 persons. 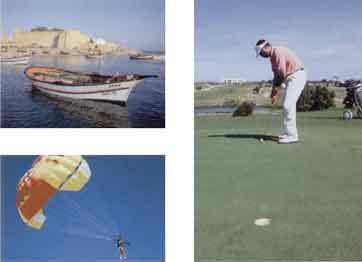 A free shuffle goes to the two nearby 18 hold golf courses, and sightseeing trips are arranged from the hotel to Tunis, Carthage, Sidi Bou Said, Kairouan, Cap Bon, the camel market at Nabeul, and desert safaris. So much to do and never enough time for all of it. That's why our guests come back again and again!